Home / News / PIERS MORGAN: No-one’s a winner in this ridiculous White House war of whack-jobs, losers, nutters and hellish spouses, but by backing Trump over her own husband, Kellyanne Conway’s surely spun her marriage into a divorce court? PIERS MORGAN: No-one’s a winner in this ridiculous White House war of whack-jobs, losers, nutters and hellish spouses, but by backing Trump over her own husband, Kellyanne Conway’s surely spun her marriage into a divorce court? She was responding to a question asking if she thought her husband Prince Charles’ then mistress (now wife) Camilla Parker Bowles had been a factor in the breakdown of her marriage. And Diana was being rather disingenuous with her answer given there were a lot more than three people circling the various royal boudoirs at the time. But if you thought THAT marriage was dysfunctional, how the hell do we get our heads round the Conways? In the often crazily unpredictable world of Donald Trump, few things should still surprise us. But the current hilariously unedifying spat between the President, one of his closest advisers and her husband is beyond anything even the most imaginative comedy writer could conjure. The exact nature of what she does for Trump is open to persistent conjecture and we probably don’t know the half of it. But what we DO know is that she has become his strongest public defender, often defending the utterly defensible. It was Kellyanne who first coined the phrase ‘alternative facts’ to justify Trump’s unfortunate problem with telling the truth. And it’s Kellyanne who Trump trusts most to go on TV when he needs someone articulate, smart and aggressive to argue black is white for him. Her finest hour if you’re Trump (her worst hour if you’re a Trump-hater) came when she passionately defended him after the Access Hollywood ‘grab them by the p*ssy’ tape broke and threatened to instantly derail his 2016 election campaign. I remember watching her ferociously go into bat for him in the days that followed and thinking that she was literally single-handedly saving Trump’s presidential chances before our very eyes. Trump is big on loyalty. As I have personally experienced, he can be extremely loyal to people he likes or who are loyal to him – particularly if they publicly stand up for him when the furnace of fury is most intense. 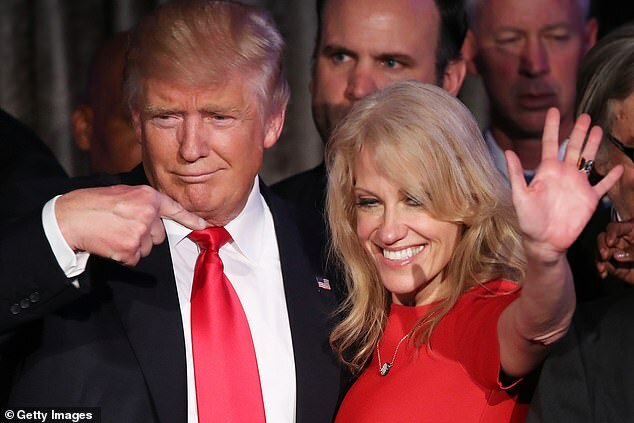 So he absolutely loves Kellyanne because she saved his a** over that tape, and has never once wavered in her unequivocal support for him despite the huge amounts of vile abuse this has earned her in the process. 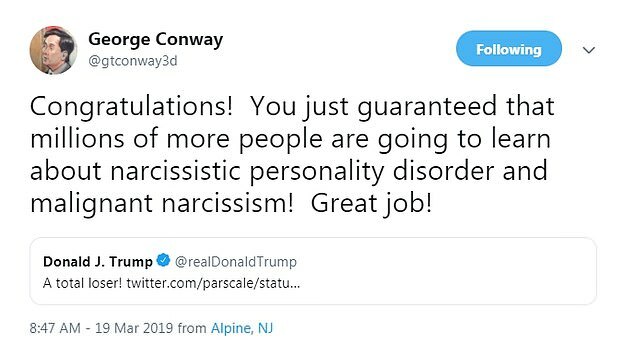 The problem is that not everyone in the Conway marital bed shares her undying devotion to the President. In fact, her husband George can be safely identified as one of Trump’s most persistent and vicious enemies. 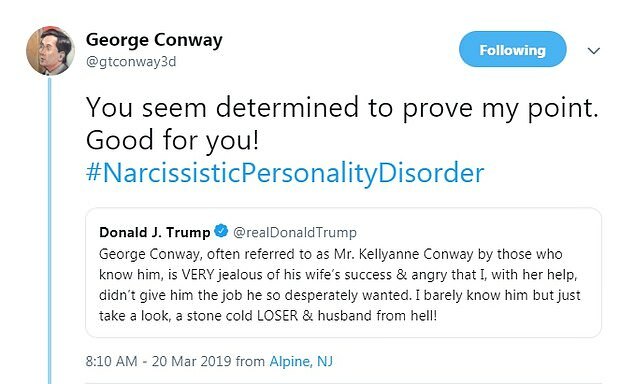 For the past few months, Mr Conway has attacked Trump on Twitter with the same passion that his wife has defended him. When he first started doing this, I was absolutely astonished. How could anyone publicly mock and insult their spouse’s boss in this way? It seemed such an extraordinarily cheap and disloyal thing to do, even if the boss is the world’s most powerful man. 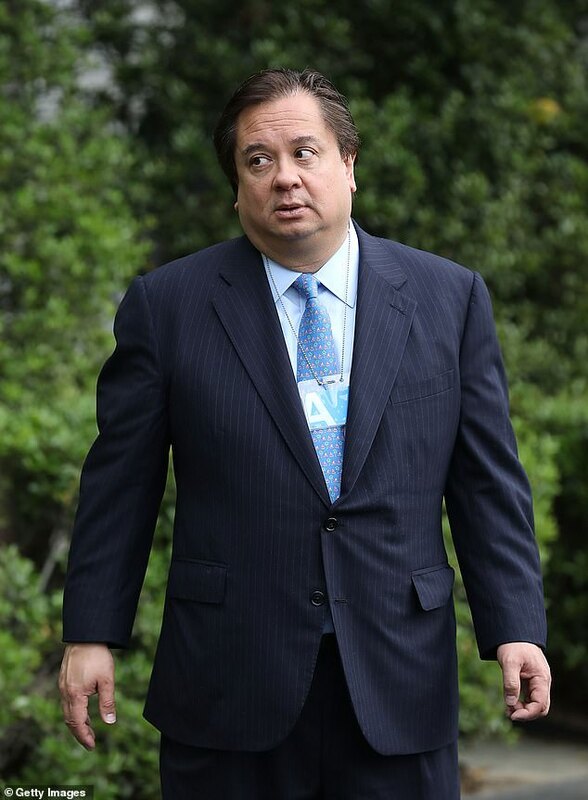 George Conway knows how over-sensitive and volatile Trump can be about personal criticism, yet didn’t seem to care what damage his abuse might cause his wife’s career. 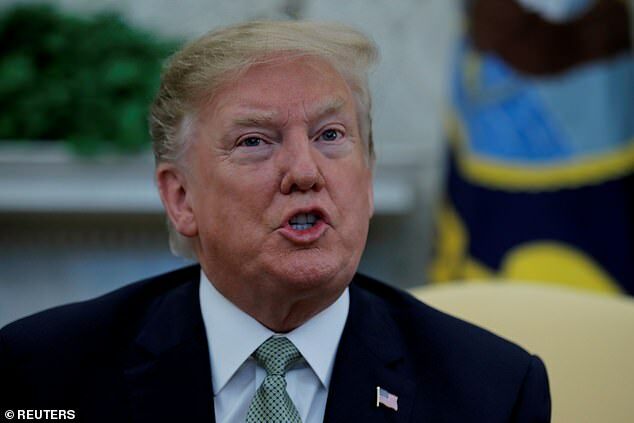 His attacks got worse and worse until this week they reached a nadir when he directly stated that Trump was a verifiable lunatic, citing sections of the Diagnostic and Statistical Manual of Mental Disorders. 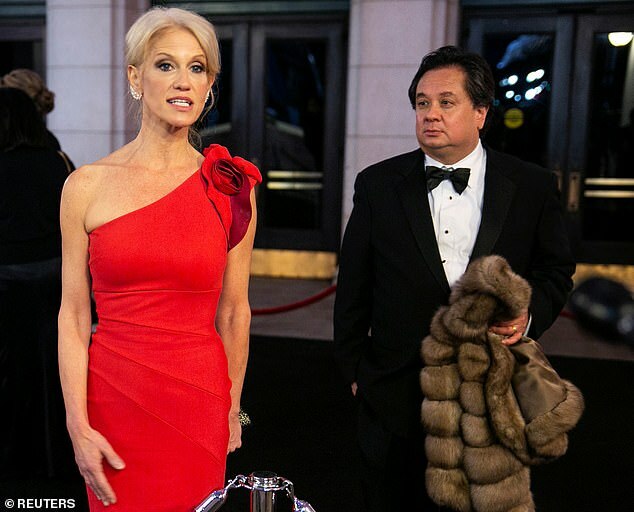 What’s perhaps been even more inexplicable than Conway’s campaign against Trump has been his target’s dignified silence given how he normally fights any verbal fire, however insignificant, with a blazing inferno of vitriol in return. But finally, Trump snapped and retaliated. Of course, this was like a red rag to the Oval Office bull. ‘You. Are. Nuts.’ Conway retorted. 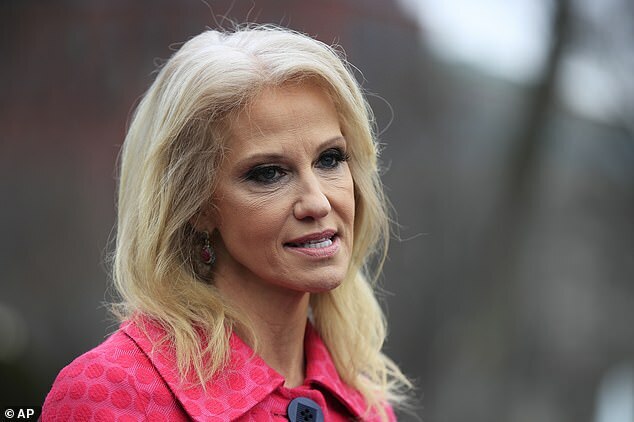 So Trump told the media that Conway was a ‘whack job’ – a colloquial term which according to the dictionary means ‘a crazy, possibly dangerous person’. 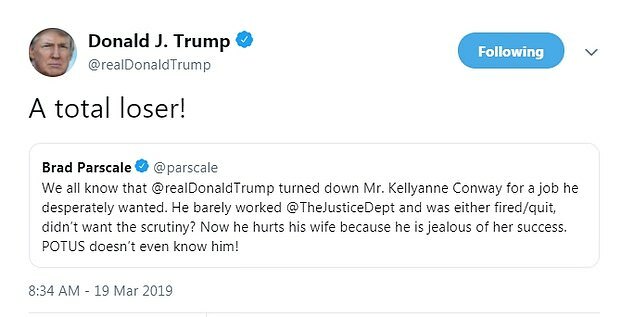 This is Kellyanne Conway’s BOSS calling her HUSBAND and father of her four children a jealous loser, husband from hell, and whack job. I don’t know about you, but if my boss publicly said similar words about my spouse, I’d resign, seconds after punching him on the nose. But Kellyanne didn’t resign, or punch Trump on the nose. Instead, incredibly, she once again defended him – only this time against the man she sleeps with every night! She told Politico that Trump had avoided attacking George for months ‘out of respect for me’. Kellyanne then personally attacked her husband. Forgive us Kellyanne, but it’s not we the public or media that is turning into Gossip Girl. It’s this utterly bizarre ménage à trois between you, your boss and your husband that has been deliberately detonated into the public’s consciousness by the two most important men in your life. As a former winner of Trump’s old show Celebrity Apprentice, I can confidently predict that someone’s now going to get fired from this completely untenable situation. The big question is who? 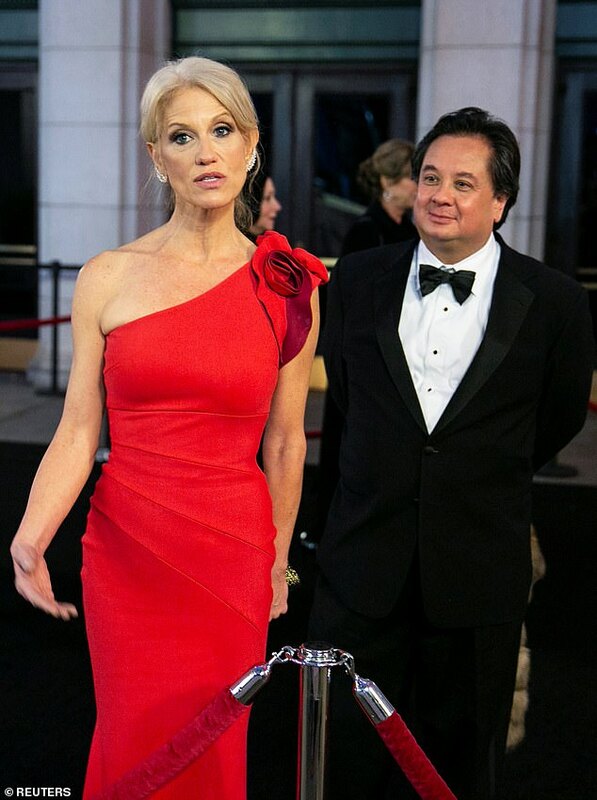 Trump won’t fire Kellyanne, he needs her too much. 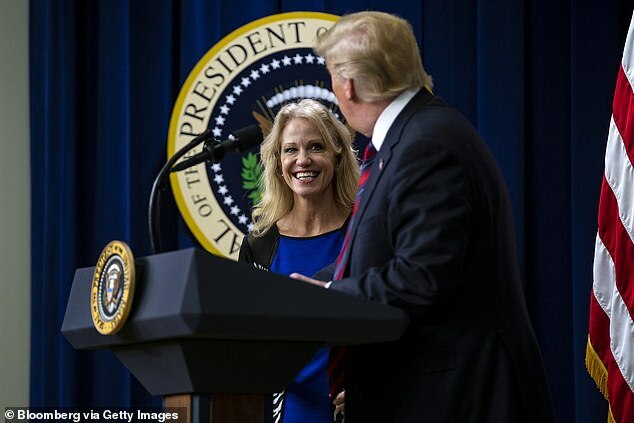 Kellyanne won’t fire Trump and quit - that much is obvious from her decision to defend him yesterday against her husband. So that just leaves one likely victim. This is one of those fights where most people hope everyone loses. But of the three protagonists, I blame George Conway the most. He’s the one who started all this by slagging off his wife’s boss. It doesn’t matter that the boss is President Trump, there are some things you just don’t do in life and one of them is publicly calling your spouse’s boss a nutter. He’s been at it again today, firing off a blizzard of new insults at Trump - calling him a compulsive liar, narcissist and ‘worst kind of dumb’. But the cold harsh reality behind George’s thuggish bravado is that Kellyanne, when finally forced to choose between her husband and her boss, chose to side with Trump not him. That, to me, says it all. Sorry George, but there are three of you in this marriage and you’re Diana not Camilla.